Primetech with its indigenous design & development holds a great name for outstanding mixing technology, high standard of homogenization with its design optimization. Primetech high intensity mixers PHM are used for all bulk material application like to mix solid, liquid and pasty components where besides friction heat generation with shortest possible cycle time , also the way in which the friction is introduced in to the product along with the finest material dispersion is of greater importance. 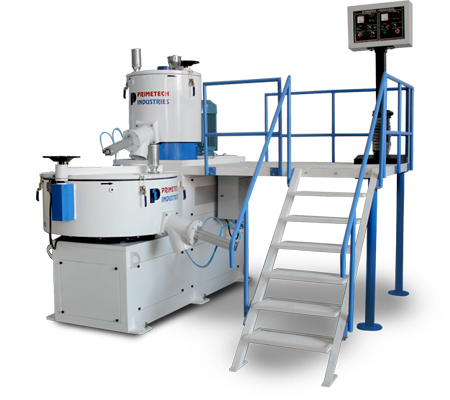 The unique designs of mixing bowl with large bottom radius and fluidizing blades make a Primetech-mixers a high performance machine and ideal solution when good quality material are combined with high hourly output. The Primetech cooler mixer "PCM" works effectively in combination with upstream high intensity. 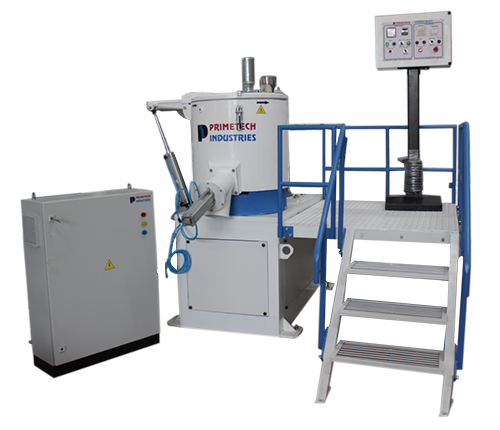 Primetech "PHM" for subsequently cooling of hot mixture in order to keep it in free flow condition, suitable to storage, transportation and subsequent processes. For application in high quality mixture during homogenization of bulk material is important Primetech cooler mixer "PCM" promises good heat transfer co-efficient which is most necessary for obtaining short cooling times for throughput capacities. 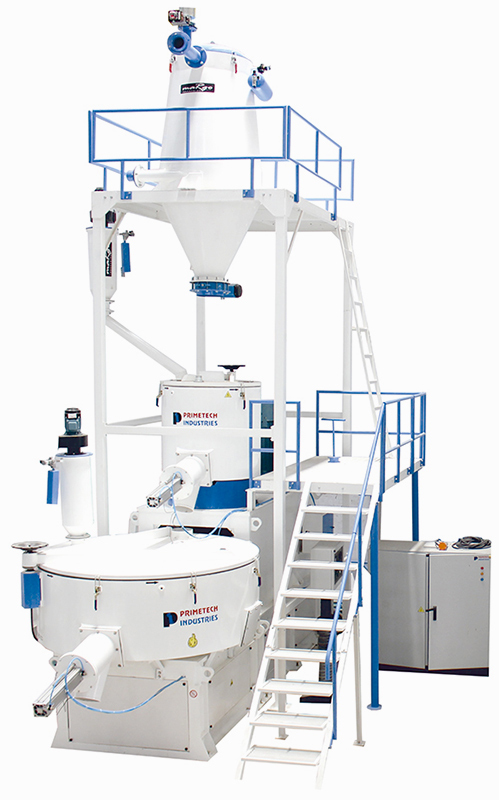 Mixing and dispersing process and also de-agglomeration are frequently of equal importance as factor concerning the handling of the machine. Prime Margo Machines providing all type of High Speed Mixer, High Intensity Mixer, High Speed Heater Cooler Mixer at low cost Price. Producti on Capacity / hr.